Tami is a Certified Athletic Trainer. She joined Panther in 2004 as a PT Tech and has also added Office Administrator to her role. 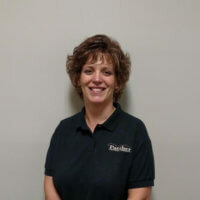 Tami graduated from Mercyhurst University in 1996, with a BS in Sports Medicine. She went on to earn her MS in Athletic Training at California University of PA in 1997. When she isn’t with her Panther family, Tami enjoys spending time with her husband, Chris, and children, Matthew and Morgan.